How many of your a huge 'hoarder' of contact lens? Hands up because we can be virtual twins. Have you guys ever heard about MrLens.com.my? Its amazing! 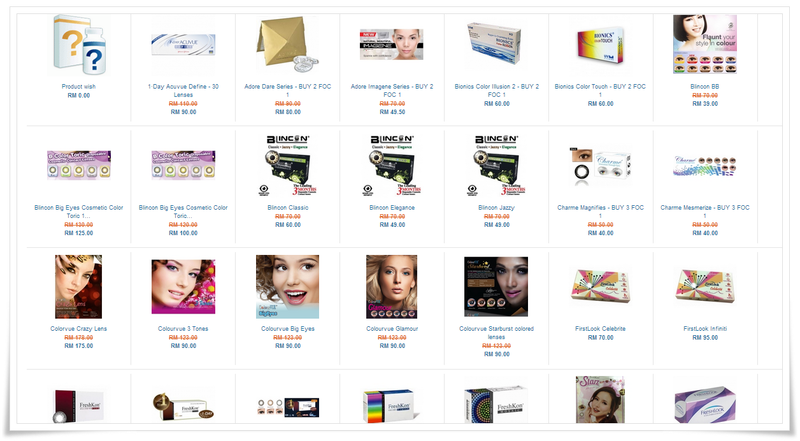 It an online shop that sells lens for reasonable or can I say inexpensive prices? 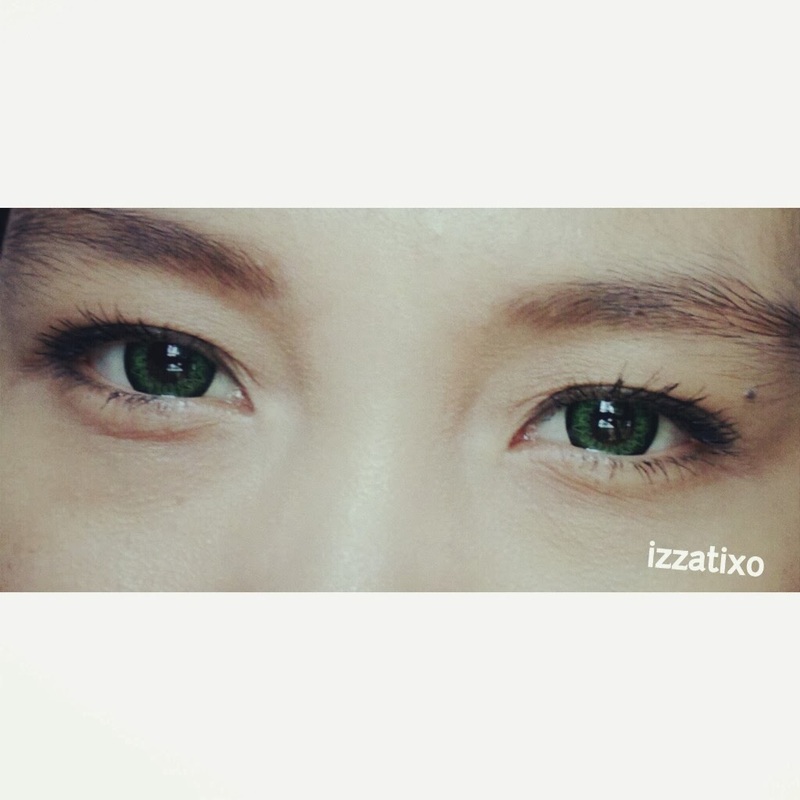 You can have from clear contacts to colored contacts! What I love about MrLens is that they have a variety of contacts. And of course, authentications are 100% guaranteed! 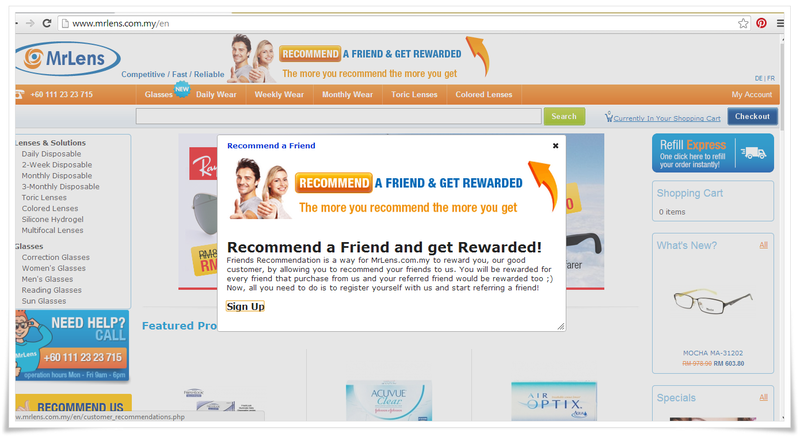 They offer rewards if you recommend to your friends which is awesome. I love how they handle the tracking order. 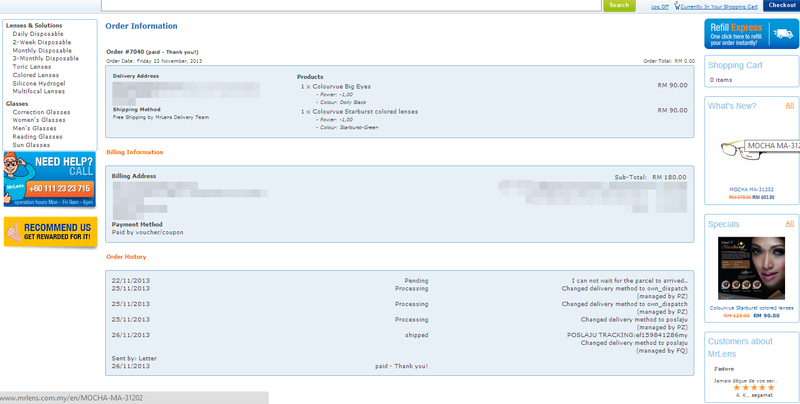 They email you like right away after you placed order and keep you update every time they process your order. My parcel!! Yeay!! Got it within 3-4 days. 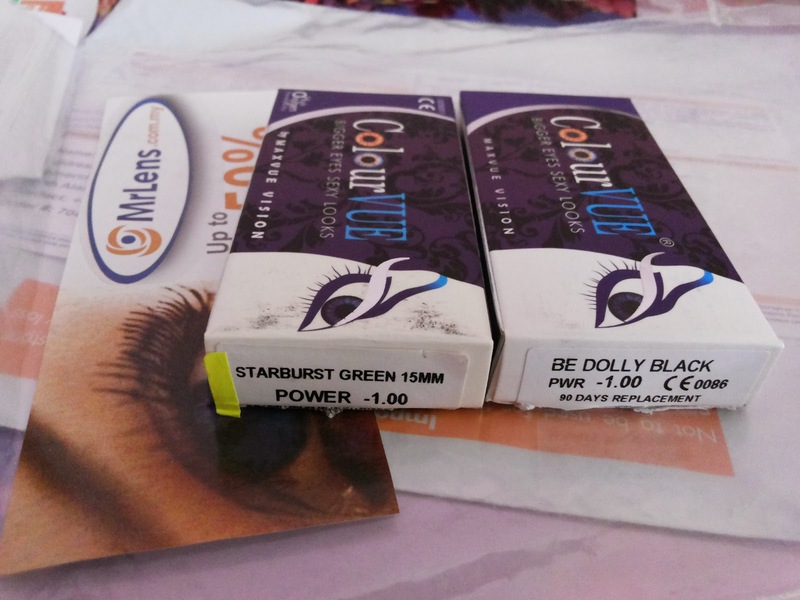 I chose the Starburst Green and Be Dolly Black. 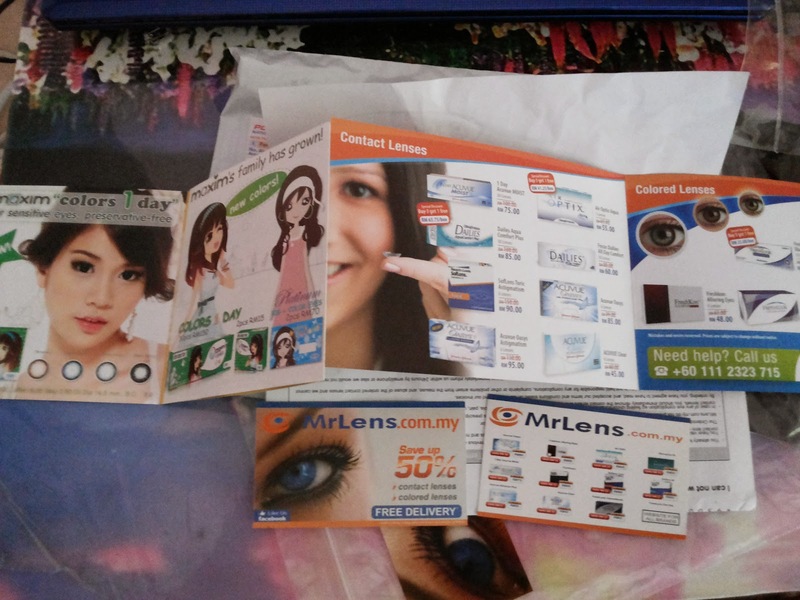 P/s: I did persuade my friends Mira and Tika to like MrLens's facebook because they love contact lens as much as I do. Yup! 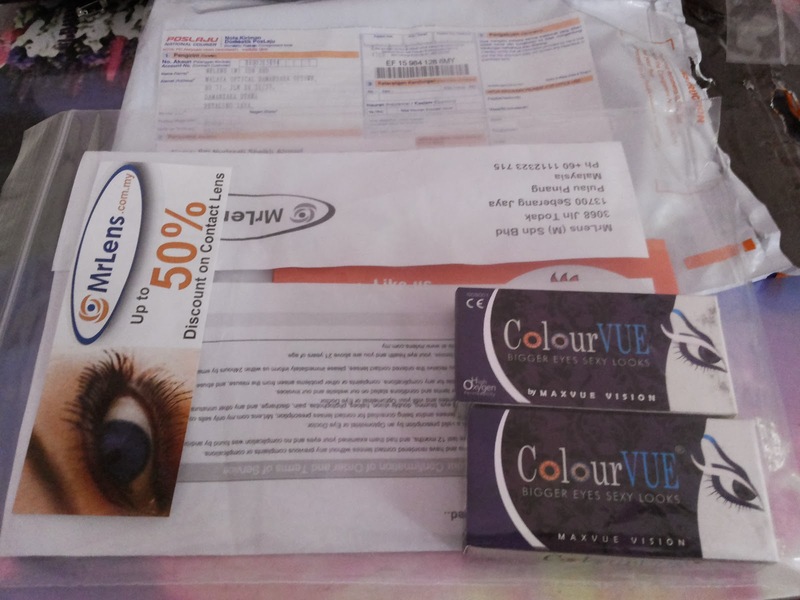 They bought the colored contacts for only RM39! **This is a sponsored post. But all opinion(s) is 100% on my own.